With the summer month nearly upon us, things get busy at Chris Ally Events and Party Rentals. It's the perfect time for outdoor parties and events. 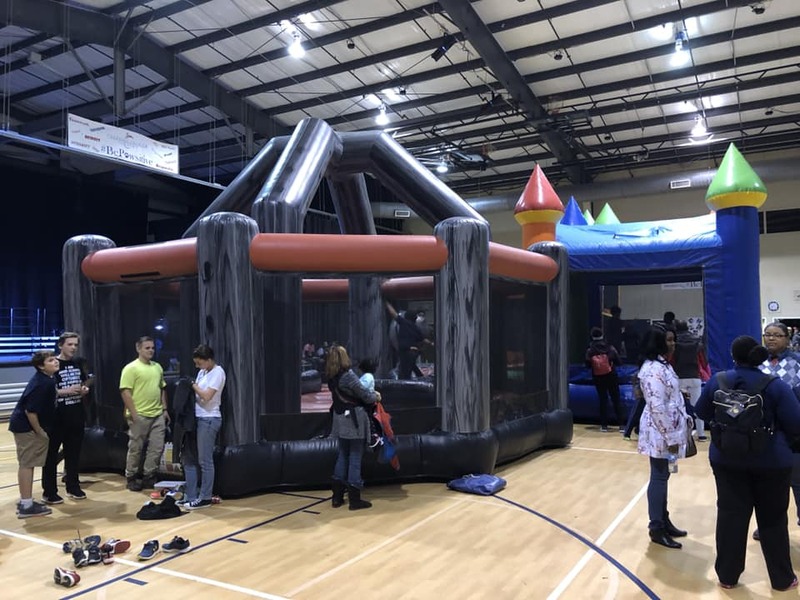 Many will be planning their block parties and nothing makes a block party more fun than having a bounce house, obstacle course, or some interactive games for everyone to enjoy. 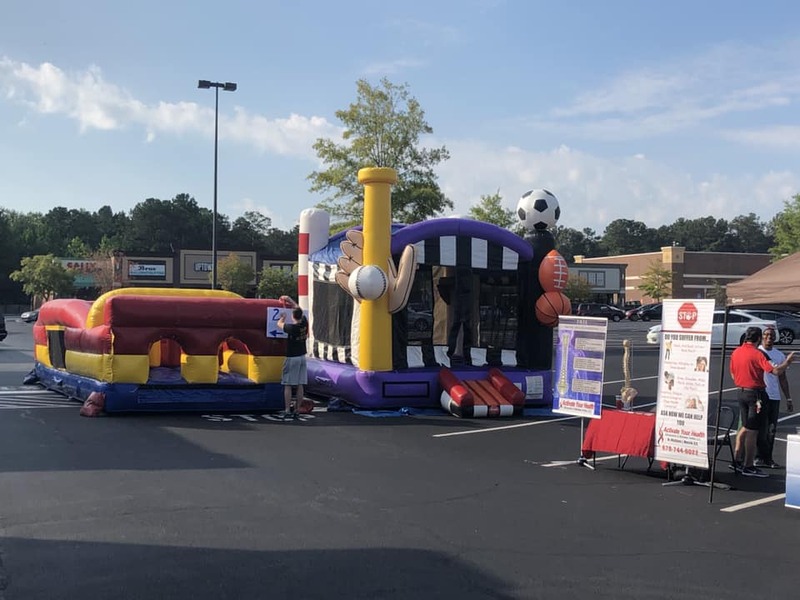 We're your go-to for Marietta party rentals and we have 5 tips for you that will help your event be a blast. If you don't have enough activities to keep the kids busy you can end up spending most of the party babysitting. Renting a bounce house or bounce house slide combo is a great way for kids to be active and burn off all that extra energy we know they always have. You should set up the kids play area in a shaded and safe spot that will accommodate the bounce house rental you choose. 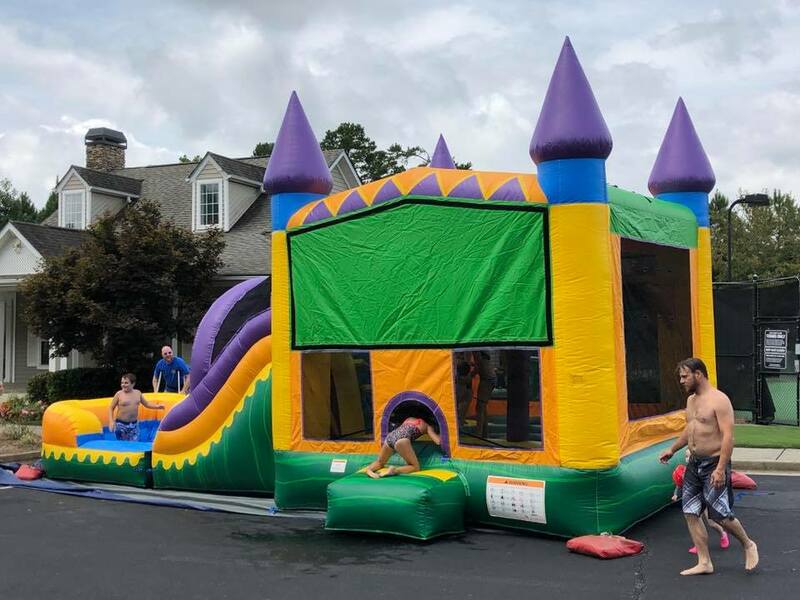 To help them keep cool, the bounce house wet slide combo is the perfect choice in party rentals in Marietta GA.
Planning any event takes a lot of time to organize. There's the food to think about, concessions, seating areas, music, and entertainment. When you rent an inflatable you don't have to worry about setting up. We deliver, setup, take down, and clean everything that you rent. Make sure you get your rental reservations in early enough though because it's a busy time of year. We make sure your rentals are set up early so that they are ready when the party starts. Most block parties are organized by a group of neighbors. If you want to rent a few inflatables for the day, it's a great idea to have everyone chip in to cut down the cost. It goes without saying that kids need to be supervised, especially when using bounce houses and other inflatables. An adult should be there to supervise, making sure every gets a turn and no one gets hurt. But you don't want to leave just one person to do the job all day. It's best to create a shift for volunteers to watch the kids so that everyone gets a chance to enjoy the festivities. The inflatables you choose can depend on who will be using them. While bounce houses are great for kids, they aren't the best option for toddlers. We have special toddler inflatables to keep them occupied too! For the adults, rent an exciting obstacle course or interactive game. Chris Ally Events and Party Rentals also have tents, tables, chairs, concessions, music, catering equipment, and much more to make your big day one to remember. All of our equipment is top of the line, cleaned and disinfected before and after each use, and regularly maintained. Fun and safety is our priority. If you're looking for the best party rentals in Marietta GA, look no further. We have everything you will need to make the party a hit.